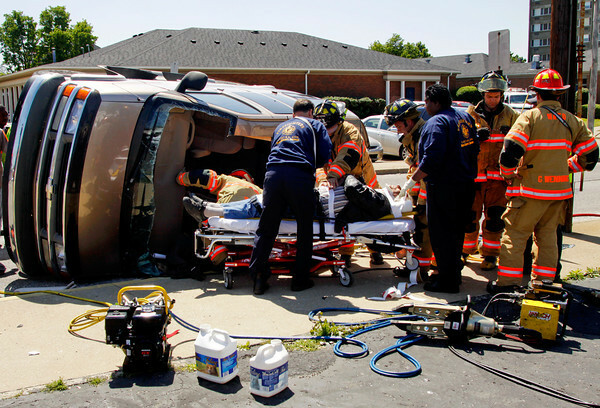 An elderly man was injured after the van he was driving flipped on its side following a two-car accident Thursday afternoon at the intersection of State and Oak streets in New Albany. New Albany firefighters had to cut the man out of the van. He was alert and was transported to Floyd Memorial Hospital and Health Services. The driver of the other vehicle was not injured. The accident is under investigation.